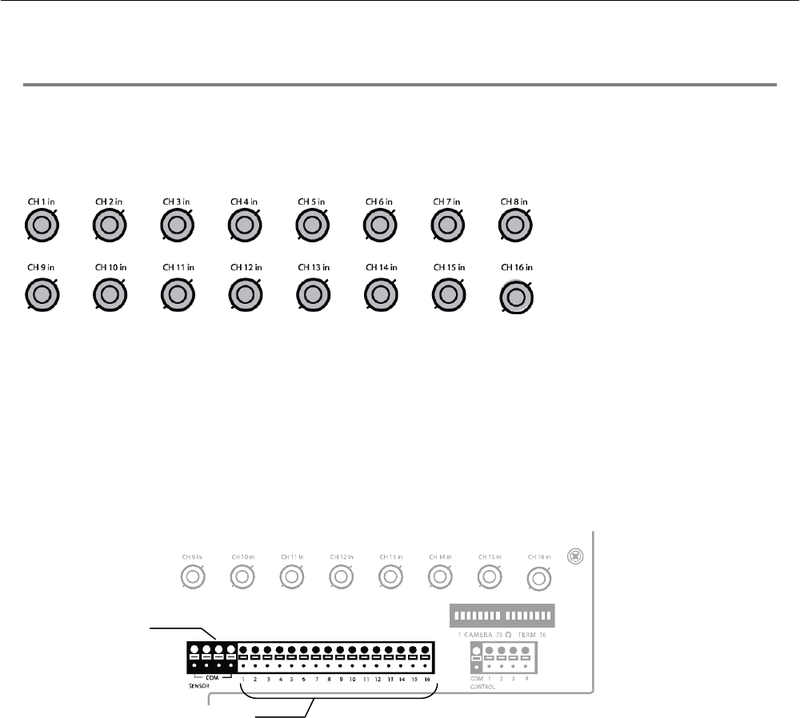 back of the XVSe contains up to 16 video inputs depending on the model. The connectors use the BNC standard. BNC input on the recorder. door and window trips, and many more. The Sensors can be set to Normally Open or Normally Closed inside the software.